"No weather will be found in this book." In an agreement with Olivia Clemens dated May 23, 1895, Harper and Brothers acquired the rights to Mark Twain's books previously published by Webster and Company including The American Claimant (1892), Merry Tales (1892), and The £1,000,000 Bank-Note, and Other New Stories (1893). 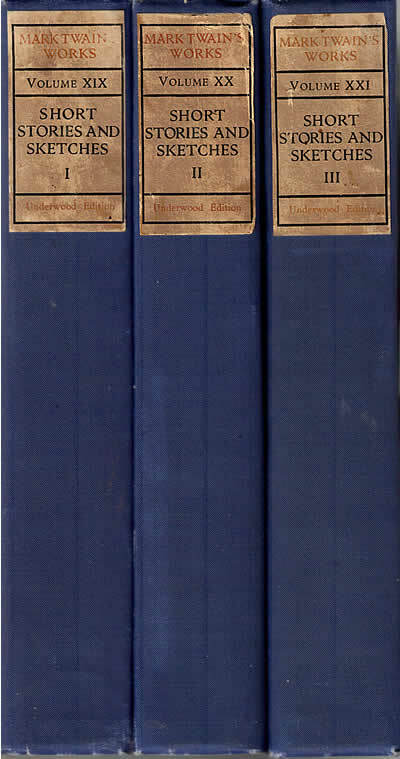 When Harper and Brothers compiled their uniform editions of Mark Twain's works in 1896 in red cloth with gold cornstalk bindings, they combined the three books into one volume, deleting two short stories from Merry Tales, and titled the volume The American Claimant and Other Stories and Sketches. The Harper's 1896 edition of The American Claimant and Other Stories and Sketches is a collection of previously published material recycled to maximize profits. 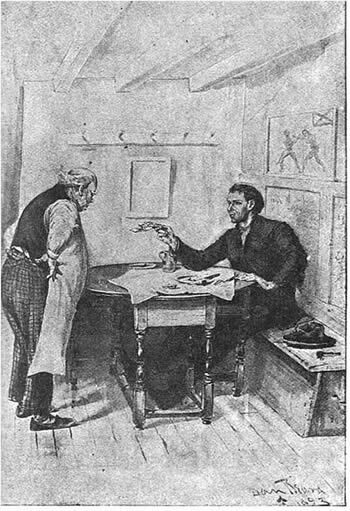 The title story "The American Claimant" had been serialized in the New York Sun from January 3 to March 27, 1892 without illustrations. In England, Idler magazine serialized it with illustrations by Hal Hurst. Daniel Carter Beard illustrated the first book edition of The American Claimant for Webster and Company in 1892. In England, Chatto and Windus released The American Claimant utilizing both Hurst's and Beard's illustrations. 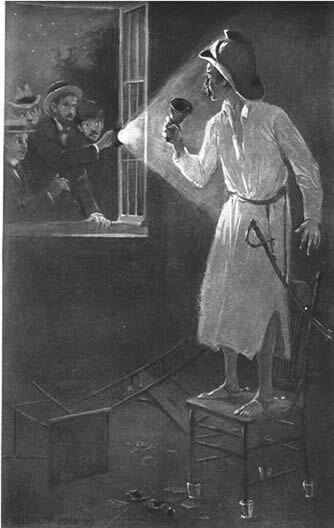 The 1896 Harper edition retained Beard's illustrations. 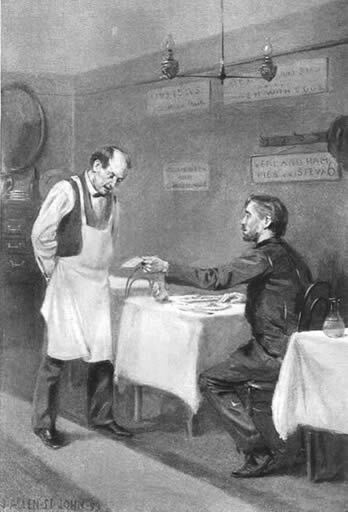 In an agreement between Harper's and American Publishing Company, dated December 31, 1896, American Publishing Company acquired the rights to include The American Claimant and Other Stories and Sketches in their 1899 uniform edition of Mark Twain's works. Under a second agreement dated November 11, 1898 Frank Bliss was allowed to manufacture new printing plates that would immediately become the property of Harper and Brothers. By producing a new set of plates in Hartford, Bliss could save transportation costs and insurance involved in shipping the plates from New York. Although Clemens had an opportunity to revise and refine his work for the 1899 uniform edition, there is little evidence to suggest he took an active interest in doing so. Production of the new 1899 plates also had the potential to introduce inconsistencies into the texts that were the result of typesetting errors. No extensive study of Morgan's notes for Volume 21 had been conducted. Frank Bliss planned at least three volumes of Mark Twain's sketches with Volume 21, The American Claimant and Other Stories and Sketches, being the third. However, instead of using the book's title on the spine of the volume, Bliss instead chose to identify the book as Volume XXI / Short Stories and Sketches III. This designation appears in all the uniform editions published by American Publishing Company including Autograph Edition, Edition De Luxe, Japan Edition, Author's De Luxe Edition, Royal Edition, Underwood Edition, Riverdale Edition and Hillcrest Edition. However, with the Harper Author's National Editions of 1909, the title appearing on the spine of Volume 21 was changed to match the title of the work and perhaps reduce confusion. Frontispiece of Volume 21 etched by William Harry Warren Bicknell from a photograph taken in 1890. James Allen St. John (b. 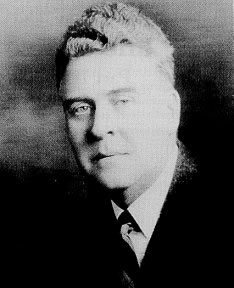 1872 - d. 1957) was born in Chicago, the son of doctor Josephus Allen St. John and his artist wife Susan Hely St. John. When he was a youngster, he accompanied his mother to Paris where she continued her art studies. As a young man he traveled to California and there studied with Eugene Torrey. He later returned to New York and attended the Art Students League and studied under Henry Siddons Mowbray, James Carroll Beckwith and Frank Vincent Du Mond who illustrated Mark Twain's Personal Recollections of Joan of Arc. 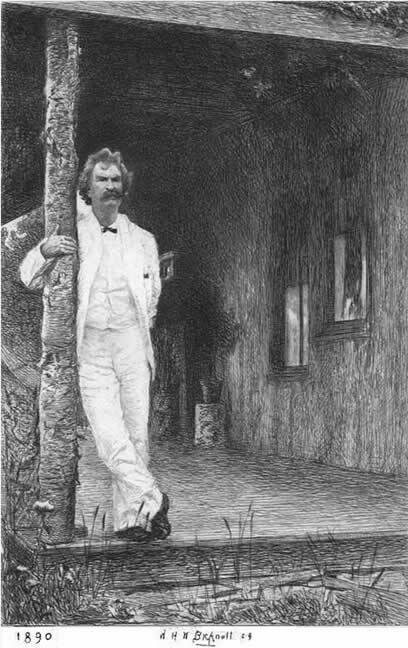 St. John likely studied alongside artist Francis Luis Mora who would illustrate Volume 23 of Mark Twain's uniform edition. An 1898 interview in Metropolitan magazine identified St. John's portrait of Mora as one of his best. St. John became an instructor in the New York Chase School of Art and illustrated books for Harper's, McClurg's and Rand McNally. He also served as an illustrator for New York Herald. In 1904 St. John returned to Chicago and illustrated for the Chicago Record-Herald and Chicago Tribune. He wrote and illustrated his own book The Face in the Pool: A Faerie Tale in 1905. After spending two years in Paris from 1908 to 1910, St. John returned to Chicago and taught at the Chicago Art Institute and American Academy of Art. He is most widely known today as the illustrator of Edgar Rice Burroughs's Tarzan and Mars series of novels. St. John died in Chicago in May 1957. 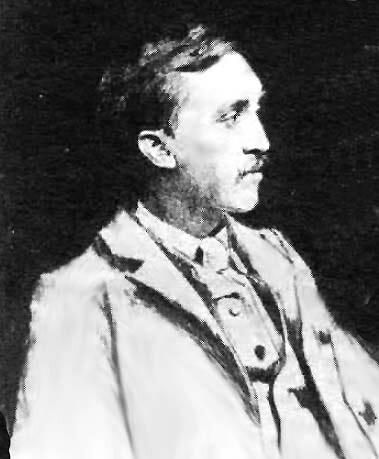 James Allen St. John provided three illustrations for The American Claimant and Other Stories and Sketches. One illustration was for the title story "The American Claimant;" one for "Mrs. McWilliams and the Lightning;" and one for "The £1,000,000 Bank-Note." St. John's illustration for "Mrs. McWilliams and the Lightning" featured Mark Twain in a fireman's helmet. St. John's illustration for "The £1,000,000 Bank-Note" was similar to Dan Beard's frontispiece for the 1893 edition of The £1,000,000 Bank-Note and Other New Stories. Why Frank Bliss decided not to utilize Dan Beard's work for the 1899 uniform edition of The American Claimant is unknown. Since Beard was contributing to other volumes in the series, expense may have been a consideration. From 1899 until 1917 the contents of Volume 21 of the uniform edition of Mark Twain's works, The American Claimant and Other Stories and Sketches, remained the same as Harper's first edition of the book in 1896. In mid-1917, long after Harper and Brothers had taken over production of the uniform editions begun by American Publishing Company, they revised the contents for Volume 21 for a new printing of the Author's National Edition. Almost all of the material from The £1,000,000 Bank-Note, and Other New Stories (1893) was deleted from that volume. This reshuffling of material is one source of confusion for book collectors who often try to acquire replacement volumes for incomplete sets. The task is further complicated due to the fact that the bindings for a number of years were extremely similar even though the contents were different. Harper edition of Vol. 21, The American Claimant, with printing date of M-Q (December 1916) retains the original 1899 table of contents. Harper edition of Vol. 21, The American Claimant, with printing date of H-T (August 1919) features slightly smaller binding, Arabic volume numbers 21 on the spine and less content. The following table details the shifting contents of Volume 21. * "Playing Courier" was originally part of The £1,000,000 Bank-Note and Other New Stories; the listing of it under Merry Tales is misleading. Ericson, Edward M. An Illustrated Annual of Works by American Artists and Craft Workers 1915-1916. Online via google books. "Obituaries: J. Allen St. John," Chicago Daily Tribune, 26 May 1957, p. 32. Richardson, Darrell C., "J. Allen St. John, Dean of Fantasy Illustrators." Online at http://fanac.org/fanzines/Fanscient/Fanscient11-04.html. _____. The Life and Work of J. Allen St. John. (Memphis, Tenn: Old Tiger Press, 2005). Twain, Mark. The American Claimant and Other Stories and Sketches. Royal Edition. (American Publishing Company 1899). _____. The American Claimant. (Oxford University Press, 1996). _____. Merry Tales. (Oxford University Press, 1996). _____. The £1,000,000 Bank-Note and Other New Stories. (Oxford University Press, 1996).